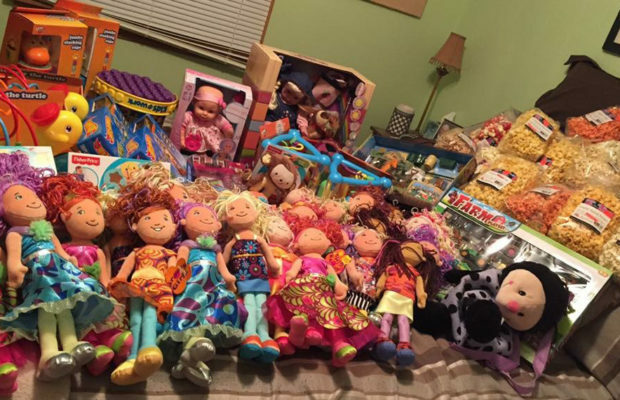 For six years Paul “Woody” Woodward has been helping others put smiles on children’s faces by simply hoping them donate a toy or two twice a year, as Woodward delivered the toys and brings a grin to sick children’s faces. For the first two years of delivering toys to sick children who are unable to return home for the holidays, Woodward was able to say hello, introduce himself and personally bring kids their toys. From now on, Woodward is only able to take the toys into the hospital and to the nurses because only immediate family members are allowed in the cancer unit. He delivers the toys once to the Ronald McDonald House and once to the cancer unit of the Iowa City hospital. Since 2010, Woodward has become close with the families surrounding the hospital and the nurses and doctors who work there. Woodward also became close with some families that were going through treatments with their children while his son was in the hospital. “You become a family when you’re there,” he said. 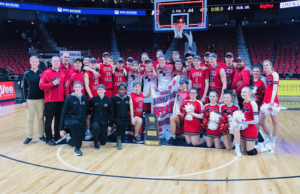 His youngest son was diagnosed with muscle cancer in his leg but luckily, with hard working doctors and a strong support system, Woodward’s son is now seven years cancer free. He said he thought to himself, why not go ahead and do this, like a “pay it forward type of thing.” Woodward has been paying it forward with bigger loads of toys for six years now. Woodward said he feels delivering the toys helps take their mind off of what is happening and what they are actually going through. He said it makes him feel pretty awesome knowing he can help those kids feel good and that delivering toys is a great feeling. 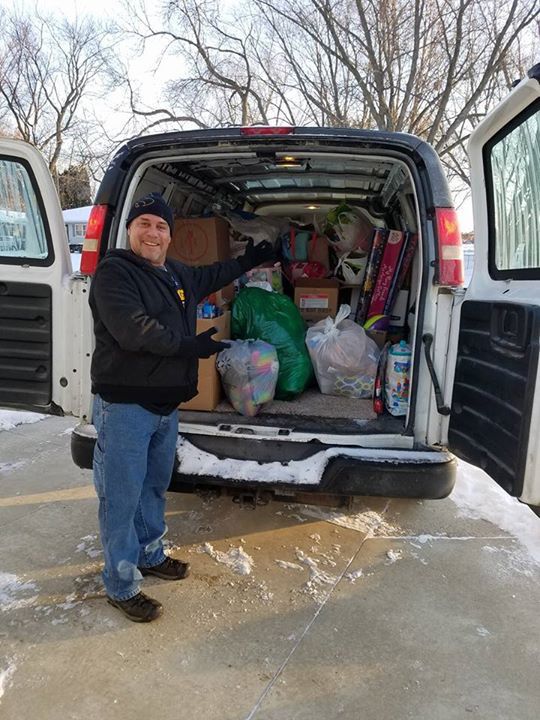 This Monday, Dec. 19, 2016, Woody took a van full of toys like basketballs, markers, coloring books, Barbie dolls, trucks and stuffed animals to the cancer unit of the Iowa City Hospital. Woodward has a record year of 4,588 toys total to donate for kids staying over Christmas this season. The word gets around by word of mouth, through his own Facebook page as well as Woody’s Annual Toy Drive facebook page and many flyers to be handed out. He encouraged others to visit the Facebook page and donate at any time to make a child’s Christmas wish come true.